The movie, the ‘Avatar’, inspired me to explain the nature of spirit and the spiritual path in a very simple way. It is my experience that without understanding what is spirit you will not be able to recognize or realize it when it when you find it. You need to understand what you are looking for before you can hope to realize it. Especially something like spirit since it is so ubiquitous, so mixed up with the rest of what we consider ourselves to be. Throughout history, in all cultures, imaginative stories have been passed down, allowing mankind to identify and live vicariously through various characters. Movies have taken this further by creating visual and sound effects that ‘grip’ our attention more quickly, making them more ‘real’. Through games we develop skills for action that we use in life. Video games combine all these mediums and add the ability to participate directly through our character. We can make choices, act independently and experience the consequences of those actions. Have you ever thought why this happens? It’s because we love to get ‘hooked in’, to identify with a story; to live vicariously through others in other lands or worlds, to test our skills and to improve ourselves through them. The more we identify with and give these characters–these ‘avatars’, importance, the more interesting the story, movie or game becomes. By becoming thus engaged and hooked into these mediums, we ‘enter’ into these alternative worlds and in the process gain some insight into ourselves and the world beyond our normal experience. This also allows us to develop skills which we would not have the opportunity of developing. This can also prepare us for ‘real’ life. If we look at how we get ‘hooked’ in, be it a story, book, a movie or a video game, we can gain a real understanding of the nature of ourselves and how we ended up in this predicament we call life. So the real question is what is it that gets us ‘hooked’ in? The answer is consciousness. We are not our bodies, we are the substance that animates the body, thinks our thoughts, feels our emotions and experiences our experiences. We are not a ‘who’, rather we are a ‘what’. It is this ‘stuff’ called consciousness that is our ‘real’ nature and our human body is our ‘real’ avatar. Just like the characters in the movie ‘Avatar’ a person would enter into a pod that would connect them to their ten foot tall, blue body. In the same way you have ‘entered’ into your human body that is now reading this. Only you did this a long time ago, forgetting that you did so. Thus you have forgotten your ‘real’ self. 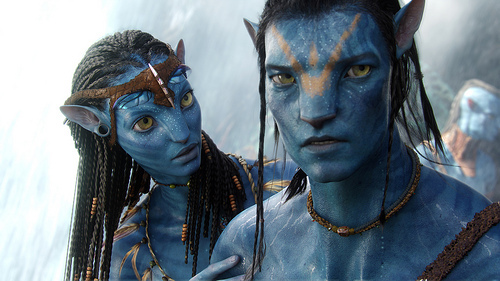 Your body, like in the movie ‘Avatar’, is a complete system. It has the capacity to think, feel and act. It has emotions and sensations…allowing a ‘total’ experience of this world as if it was ‘real’…even though we are resting quietly somewhere, far away. Like someone who plays a video game too long, we have lost our true perspective. We are no longer enjoying this game but have gotten caught up in the story. We take it far too seriously; we suffer and have forgotten how to stop playing the game. We have forgotten that life is a game to be enjoyed, to explore and discover. When we take a birth it is like entering into a game, the game of life. We look forward to playing our part. But in time, we loose this positive perspective and become identified with the story, thinking it is real. We loose the ability to choose and become victims of the story we are living. We forget ourselves. So who are we in fact? This is the important question. The ancient spiritual masters of India tell us we are not just the physical self, we are a subtle ‘being’ that can think, know and feel without a body or brain. This ‘being’ is made of a substance called ‘consciousnesses’. Consciousness is eternal, it cannot die. It does not need to be fed, or to sleep: it cannot be harmed or destroyed. These masters call it the ‘Chit’. Consciousness is what allows us to be ‘aware’ and pay ‘attention’ to things and the world around us; to experience life via the body and its components (emotions, thoughts, etc). They also tells us it is the nature of consciousness to get ‘identified’ with that which it pays attention to. We ‘become’ that which captures our attention. The spiritual path is how we break out of this misidentification with our “avatar” and the life it lives, to recover our true nature. We do this by shifting our attention back to what we truly are. It is a process of training consciousness to pay attention to itself as consciousness. All spiritual practices help train us to do this. One example is meditation. When we meditate we are training our consciousness to focus its attention on itself. There is also the technique of self-inquiry, asking the question ‘Who am I?”. But it is not my purpose here to go into these. Rather to point out a simple way of understanding yourself as spirit. How you do this is up to you. The happy ending of life is not to end up in a blue body on a different planet. It is something different. When we ‘wake up’ to what we are something happens that takes us beyond all suffering and misery into a state of unending happiness, love, wisdom and joy. I hope this little message gives you another way of looking at your life and a different way of understanding what the spiritual path is all about. If not, don’t worry about it. Life is the ‘Lila’, a game, created by the Divine for its own enjoyment. So don’t worry, be happy and above all, don’t take it too seriously.